Wakefield's David Fifita is tackled by Widnes' Aaron Heremaia. 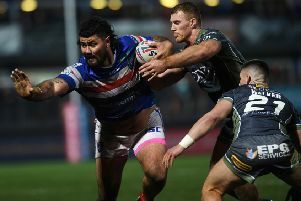 TONIGHT’S GAME at Widnes Vikings is significant at the bottom of the table, but prop David Fifita says Wakefield Trinity have higher ambitions. Eight defeats from their last 10 Betfred Super League matches have left Trinity seventh in the table, three points ahead of ninth-placed Huddersfield Giants. 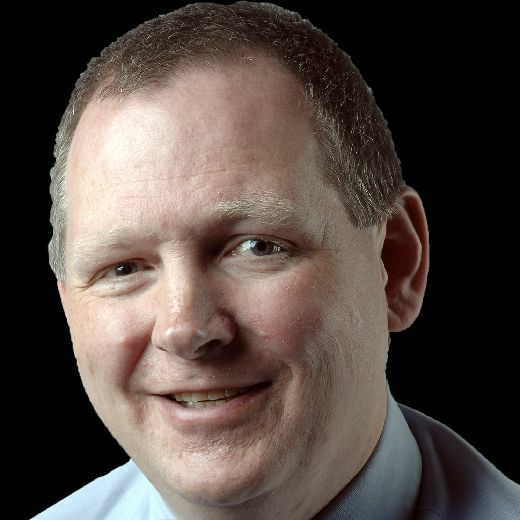 Anthony England. Picture Tony Johnson. Giants visit Salford Red Devils, who are one place and two points adrift of Trinity, this evening and whatever happens there, if Wakefield lose they will be left uncomfortably close to the bottom four with seven games remaining in the regular season. But he stressed: “It doesn’t matter now, we will just look forward – we are still looking up. “They [Huddersfield] are still behind us and we are not looking down at all. Wakefield's Joe Arundel is tackled by Huddersfield's Jake Mamo. “We are still looking up and trying to chase down the teams above us. Trinity were agonisingly close to recording a second successive league victory in the game five days ago, hitting back from 18-0 behind before running out of time. “Just the first 15-20 minutes let us down,” Fifita reflected. “We got out of the blocks too late, but it shows the boys have got character, in the second half coming out and putting it all in. “It was a good effort in the second half and we’ve got to take that into [tonight]. It is a short turnaround, but we’re looking forward to it. Fifita has featured in Wakefield’s last three games after returning from a persistent groin injury. I am getting there,” he said of his comeback. I am playing big minutes, I am happy with my minutes, but I need to get better in shape. Chris Annakin could return from injury for Trinity tonight and Anthony England is available after illness. Max Jowitt, Tom Johnstone and James Batchelor are in contention for a recall, with Liam Finn, Matty Ashurst and knee-injury victim Craig Huby dropping out. Joe Arundel, who missed last Sunday’s game after suffering ankle ligament damage in the previous week’s Ladbrokes Challenge Cup defeat by Huddersfield, has undergone surgery and will be sidelined for around three months. Widnes are without Rhys Hanbury and Jimmy Keinhorst from the team beaten by St Helens last Saturday. Ed Chamberlain, Danny Craven, Owen Farnworth and Tom Gilmore could step in. Widnes Vikings: from Ah Van, Albert, Burke, Cahill, Chamberlain, J Chapelhow, Craven, Farnworth, Gilmore, Heremaia, J Johnstone, Leuluai, Marsh, Mellor, Olbison, Runciman, Walker, Whitley, Wilde. Wakefield Trinity: from Annakin, Arona, Batchelor, Caton-Brown, England, Fifita, Hampshire, Hirst, Horo, T Johnstone, Jones-Bishop, Jowitt, Kirmond, Lyne, Miller, Pauli, Randell, Tupou, Wood.